Adeje is getting ready to pay homage to one of the borough’s patron saints, San Sebastián, a celebration which dates back to the 18th Century and which takes place along the beach of La Enramada in La Caleta, adapted over the years. This year celebrations take place on January 19th and 20th 2018 and those who wish to take part (as riders, etc) must have registered by January 12th. 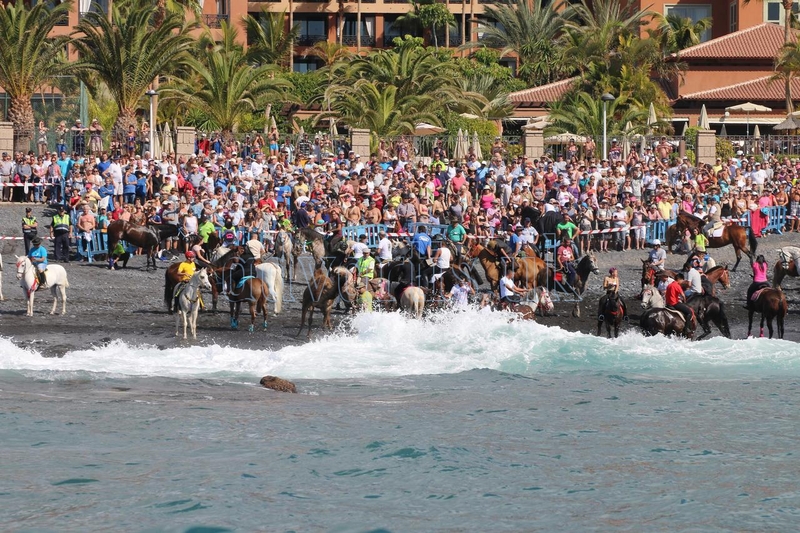 On Saturday January 20th 2018 at midday there will be a mass sung by the Santa Úrsula parish choir, after which the procession to the beach will begin, accompanied, as is the custom, by horses and riders and many more animals, as well as the thousands of spectators who will await them along the beach. Upon the return to the square the priest will bless others animals that have been brought to the event.